The Lake District Foundation charity has forged alliances with the business community for more than 24 years. This collaboration reflects our recognition of the positive influence the business community has on our beneficiaries, and of the significant resources it can bring to enable us to achieve our charitable objectives – and of the fact that it is possible for the Lake District Foundation charity to engage with the business community in a principled and effective manner that is beneficial to everyone. The Lake District Foundation charity seeks alliances with the business community that can help us fulfil our mission. We consider all types of alliances that can provide support, directly and indirectly, to our work. Our alliances with the business community take many forms such as advocacy, fundraising support, or contributions-in-kind. We actively seek alliances with those in the business community whose behaviour, on balance, demonstrates a willingness to exercise corporate social responsibility. The Lake District Foundation charity seeks to work with businesses that demonstrate a commitment to and affinity with our mandate and core values which fit with our strategy. The Lake District Foundation applies two guiding principles when contemplating an alliance with a member of the business community: find the best ally, and find the best alliance. The best ally. The Lake District Foundation takes two steps to determine whether a corporation is the best ally for the Lake District Foundation– that is, whether its record, on balance, demonstrates a willingness to demonstrate corporate social responsibility. Second, the Lake District Foundation measures that information against the fundamental principles on which we are based, and against our specific mission, mandate and brand values. The organisation’s judgement is based on these considerations. The guidelines below help guide that assessment. The best alliance. The Lake District Foundation seeks alliances which fit with our values and with our strategy. So we ask ourselves whether the proposed alliance helps our work. The Lake District Foundation charity has identified a number of eligibility criteria that help guide its assessment of whether to enter into a proposed alliance. The Lake District Foundation charity looks for alliances with entities that display corporate responsibility and leadership in the community; make a positive contribution to the environment; have a record of environmentally-responsible behaviour; have a positive public and/or product/service image; have a history of commitment to environmental-related causes; and employ responsible environmental practices. We have also identified exclusionary criteria and the Lake District Foundation gives special attention to some industry sectors. Some are unacceptable under any circumstances. For example, no alliances are possible with businesses found in violation of environmental laws. For alliances that are primarily fund-raising, the Lake District Foundation charity has certain expectations about the amount of support to be provided by its corporate allies. All potential alliances with the business community, no matter how large or small, and no matter how complex or straightforward the proposed alliance, are subject to the “best ally, best alliance” review as a matter of course. Where the alliance would involve permission to use the Lake District Foundation charity name or logo in a commercial context, especially in fundraising alliances (with certain limited exceptions), the alliance is to be reviewed and approved annually and overseen by the CEO. In addition, where the corporate screening or “due diligence” indicates that a proposed alliance – of whatever nature – requires further consideration, the CEO is required to give final approval. Without exception, and as a matter of policy, all corporate alliances must be put in writing, with the roles and responsibilities of each ally clearly set out, i.e the Fundraising Agreement or MOU. In most cases, this will involve a legally enforceable agreement. Certainly, all alliances where the business is permitted to use the Lake District Foundation charity name and logo must be set out in a legal agreement. This protects all involved. The policy regarding general usage of the Lake District Foundation charity’s name and logo is set out in the brand guidelines. Compliance with the requirements of the brand guidelines is mandatory, as it guarantees a clear, consistent, readily identified image of the Lake District Foundation charity. Alternative “logos” or special “corporate fundraising emblems”, whether or not they incorporate any part of the logo, may not be created. In order to ensure that the Lake District Foundation enjoys the highest visibility and awareness by the public, it is recommended that the full representation of the name and logo be used in all alliances or activities. Permission to use the Lake District Foundation charity name and logo may only be granted in writing and only on approved terms. Two further points are important to note. They apply to all alliances with members of the business community, whether or not they involve use of the name, logo and emblem. No endorsement. The Lake District Foundation charity does not endorse any products, goods or services. At no time may any office or staff member endorse or appear to endorse a company, group of companies, industry sector or other third party, its products or services. No exclusivity.  The Lake District Foundation charity does not grant “exclusive” permission to reproduce the the Lake District Foundation charity name, logo or emblem. At no time may any office or staff member grant exclusivity to any company, group of companies, industry sector or other third party. To do so could make the Lake District Foundation charity vulnerable to allegations of partisan behaviour by companies or their governments. In addition, granting exclusive permission could be misconstrued as endorsement.